I was really excited about this recorder when it was announced and when I got my hands on it, I was even more happy with it. Great recorder with tons of inputs and features. 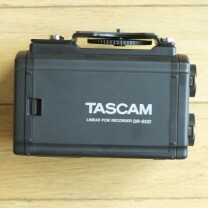 You can find the Tascam DR-60D on B&H Photo Video for $349. Power is supplied by AA batteries on the back of the unit or the USB port. Files are stored via the SD card slot. Azden Shotgun Mic (Not the best but its cheap). Sennheiser G3 Wireless Lapel (Hands down the best wireless lapel setup I’ve worked with). 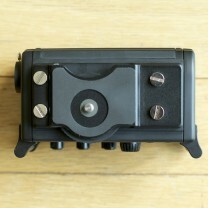 Zoom H4n (used for the mics). Great thorough review. 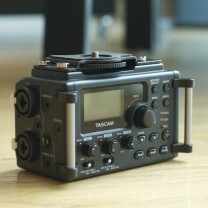 I’ve got the Tascam DR-40 and use the dual feature all the time to record a separate track at a lower level. 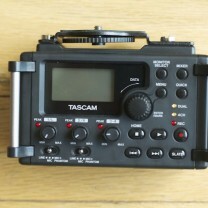 Tascam does a great job with their user interface considering it’s such a small package. I ask about it and it happens, I’m freaking out. Awesome review, very in depth how do you feel it stacks up with the DR100? Thanks for the review. Darn, so many cool features but I love the portability/size of the H4n. A “best of both worlds” product would be sweet! Awesome review Caleb! About to order this pretty soon for my employer. Way more dynamic ability for a one man crew. What settings on the G3 and the DR-60 did you find worked best for you? This is a great recorder and I plan on purchasing one soon. 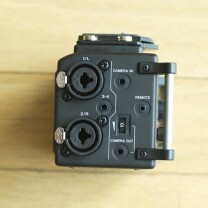 I’ve heard concerns about the Tascam’s lack of potentiometers, however I’m curious about this. Is it a major concern on set if you don’t have to adjust the levels on-the-fly? I’m thinking the answer is “no.” I’d like to hear your take. 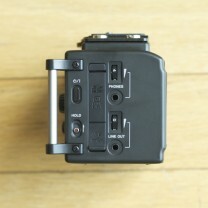 When you use the line out (to your DSLR) to record audio onto your camera as well, what volume level do you put it at? I see it has its own volume control. You’ll want to set your DSLR to 1 setting above the lowest level and then play with the Tascam levels to get your audio at the right level. Purchased this after seeing your review and several others. I dig the interface and usability but it broke within our first week of ownership. I plugged in my Sennheiser G3 with their fairly high quality XLR cord and the cheap XLR inputs on the Tascam DR60D won’t let go of it. It is literally stuck. Short of yanking it out and breaking the unity, it won’t release. Worse yet is that I have contacted Tascam customer support and still have not heard from them (approaching a month at this point!). So, in the end, I would not recommend this project especially because of their unresponsive customer support. Yikes! Yeah, that is NOT cool. Where did you purchase your unit? When you say the Tascam doesn’t act as an audio interface with computers, could you explain what you mean – to a total noob like my self? I mean you can’t use it as a mic with your computer through USB like you can on the H4n.